Currently viewing the tag: "property purchases"
The number of residential property buyers who can only raise a small deposit of less than 10%, and who don’t qualify for the Government’s Help To Buy scheme, are taking out high risk loans worth over 3.5 times their take home income, has risen to its highest level for over five years. New figures published by the Bank of England (BoE) show that the number of high risk mortgages being taken out by property investors and existing landlords has increased in the first three months of 2014. Mortgage lending to new borrowers who had less than a 10% deposit and a Loan-To-Income (LTI) multiple of more than 3.5 times a single person income, or 2.75 times for joint income borrowers, has increased to 2.6%, the highest recorded figure since the last quarter of 2008. New analysis of the UK residential mortgage market by the Council of Mortgage Lenders (CML) has revealed that the impact of the government’s Help To Buy scheme on the UK property market has been fairly limited. Property pessimists have tried to claim that the Help To Buy initiative is responsible for creating another property bubble, however, official figures show that HTB has had little impact on UK property sales. The Help To Buy scheme accounts for just 1% of all residential mortgages taken out in the six month period to March 2014. According figures from the CML, only 4% of all UK mortgage approvals between April 2013 and March 2014 were part of the Help To Buy scheme, but 85% of those taking part in the scheme were first-time buyers. Renting property is more affordable in Northern regions of the UK as property prices in some areas stretch beyond of the reach of the average earnings of first-time and next-time buyers. Chichester is the least affordable place to buy or rent property in the UK, whereas Hull and Belfast are the most affordable. Middlesbrough, Dudley and Wolverhampton have the most affordable rental markets in the UK with 99% of properties within an average working couple’s budget. Rental prices in East Anglia and the South East of England are among the highest in the UK according to analysts as these areas outperform the rest of the country, due to high tenant demand. Are you serious about Investing? 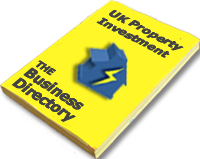 Are you looking to build a Buy-To-Let property portfolio but don’t have the time to manage it? Are you looking for properties in prime locations at significantly discounted prices? Do you want higher yields on your investment? Would you like to benefit from lucrative assembled bulk deals? …If you would answer YES to the questions above, then you might want to talk to us! Not only do Platinum Portfolio Builder buy properties on a large scale, they can tailor property purchases to everyones individual needs, just like the property portfolio PPB are building for Chris and his wife Natalya. All at a minimum of 25% below genuine market value (BMV)…. So, why did Chris and Natalya invest with Platinum Portfolio Builder? 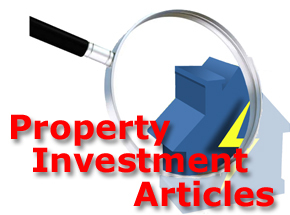 “Even though we have investment experience, we’re m no property experts. What really attracted us to Platinum Portfolio Builder was the fact that we could get at least four properties in our property portfolio using just £75,000 (GBP) of our own money”. “Without third party property investment services, we could never have got into property investment on our own “. “The great thing with PPB is that all of the properties they secure for their clients are cash flow positive from day one”. Please note that Platinum Portfolio Builder is not authorised or regulated by the Financial Services Authority and as such is not permitted to offer financial or investment advice to UK resident investors, whether or not the intended investments are regulated or unregulated. We strongly encourage you to consult an FSA-authorised Independent Financial Adviser before committing to any form of investment. The profitability of this investment can go down as well as up. Historic performance should not be taken as a guarantee of future returns. This investment can increase the risk of losing money as well as increase the possible gains. Bank interest rates may increase during the term of the project. This is a non regulated investment and is therefore not covered by the financial services compensation scheme. UK residential property prices increased again in June 2013, marking the return to good health of the property market. Property price rises are at their fastest rate in over two-and-a-half years as mortgages became more available and less expensive, adding to fears of another property market bubble as overall housing supply remains low. The latest monthly residential property price index from UK mortgage lender, Nationwide, shows that UK property prices were up 0.3% in June 2013, while the annual increase of 1.9% was the sharpest residential property price increase since September 2010, but those gains were below the 0.4% monthly rise and 2.1% year-on-year price increases forecast by many economists. In May 2013, residential property prices rose an unrevised 0.4% on the month and 1.1% on the year overall, signalling the recovery of the UK property market. The number of mortgages approved by UK banks also increased by a quarter in the twelve months to May 2013. However, over the same period, the value of outstanding mortgage loans secured on property dropped by 0.2%. Lloyds Banking Group has committed to lend £6.5 Billion (GBP) to First-Time Buyers by the end of 2013 which is expected to help up to 60,000 new borrowers. In July 2012, the Group committed £5 Billion (GBP) towards helping First Time Buyers (FTB’s) by the end of the year. Residential property values increased by an average of 1.3% in December 2012 but according to the latest figures released by the Halifax, property values are likely to end 2013 at levels close to where they began. The Halifax House Price Index revealed an average residential property price of £163,845 (GBP), up from £161,795 (GBP) in November 2012. Over the course of the year, residential property values have remained little changed with six monthly rises and six decreases month-on-month.